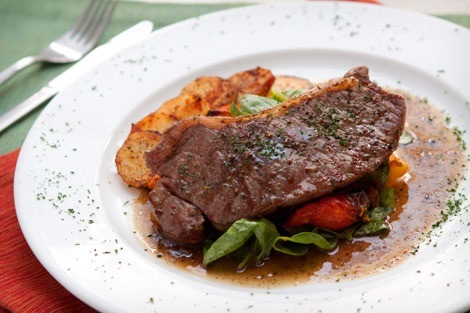 Beef Steak and Accompaniments for a western meal. Price Per Person: $100 Class will commence once there are six students. You will learn to make three types of layer cake. 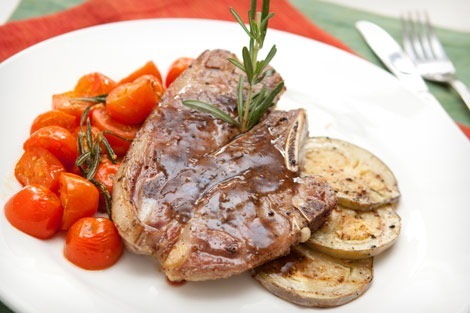 Learn to make Smoked Mutton and other Northern Indian favorites. One of those days, when I suddenly felt like having Japanese, seems like it is a weekly thing with me now, so today I went somewhere else for a change. So there we were tossing up Rakuzen or Pasta Zanmai, and Pasta Zanmai won because it looked rather nouveau to Melissa. So we sat down and pondered for a few minutes before three rather too huge menus were placed in front of us. Now I have one gripe here. Looking at our sizes, the waitress should realize we would order more food than the rest, and yet she put us on a small table. There was a couple who ordered one dish each and they had a big round table. This is rather bizarre.. I mean did we look like One Dish Wonders? Anyhow we ordered. 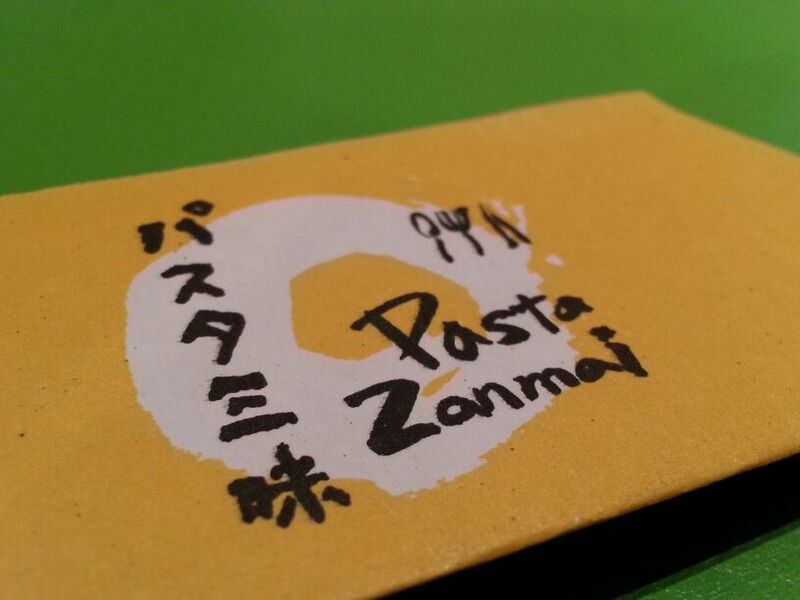 Now unlike other places, Pasta Zanmai does not use Nori to wrap their sushi. They use Tortilla skin. A bit strange, coming from a place called Pasta Zanmai because Tortillas are not exactly Italian, but nevertheless, it did look interesting. As usual, silly me forgot to take the receipt so I better remember what I ate so you will get a description without the Japanese name. 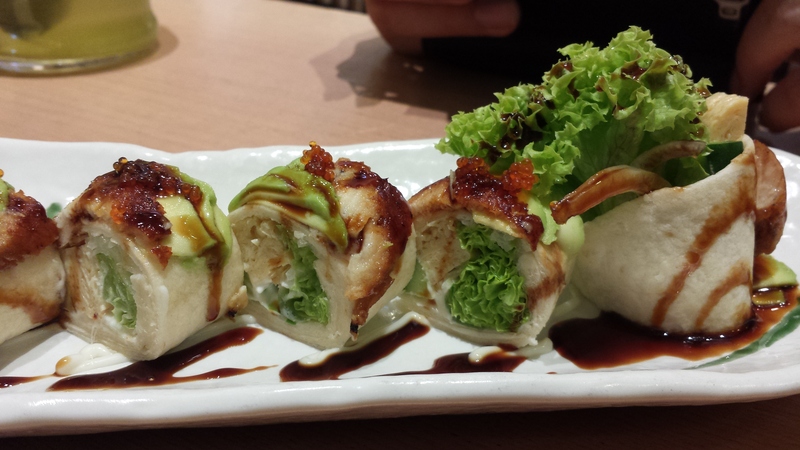 The first thing I chose was the salmon roll that was on promotion for this month. Now I am sure everyone knows I like Salmon. In the photo, it looked like a thick piece so I was quite happy. Then it came. Holy Baloney!!! I swear the chef must have kitchen skills that went back to biblical times when the thousands were fed with five fish and two loaves of bread. He would have been able to feed a few more thousand back then with his knife skills. 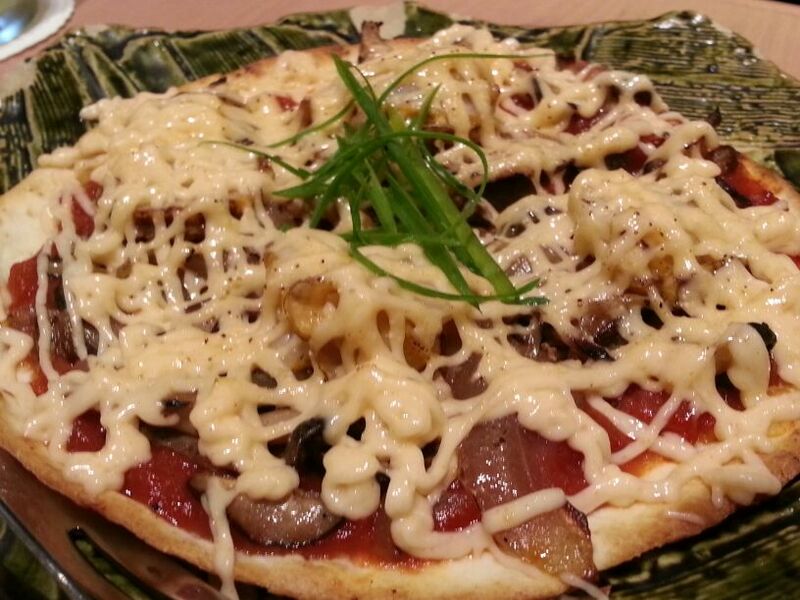 It was so thin, you tasted only tortilla and the tamago that was inside. But ok, I was in Pasta Zanmai, so I should not complain. It was fresh tasting with the lettuce. I ordered the Unagi roll, and it was exactly the same but with once again a sliver of Unagi with a different sauce. Now Miss Waitress here should have stopped me and told me, both rolls were the same with exception of the topping and the dressing. She didn’t, so when both came I looked at it and realized what a fool I was. Anyhow slivers of Unagi or not, it was fine. The concept of the tortilla was cool bananas with Melissa and our friend. 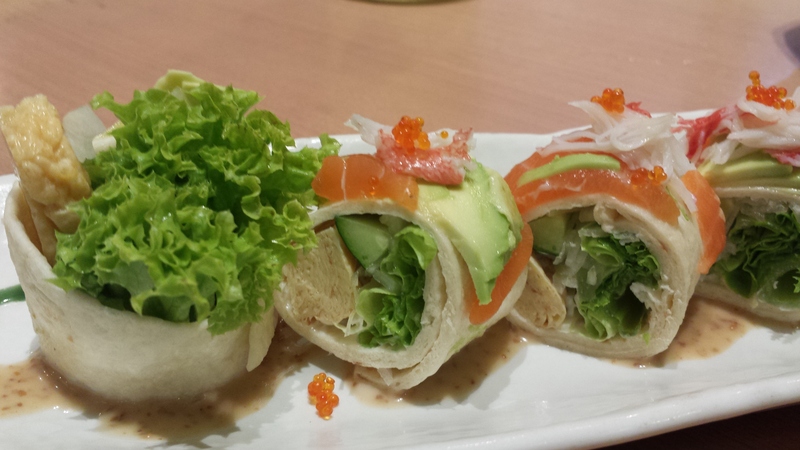 The filling was refreshing as both had avocado, tamago and lettuce. 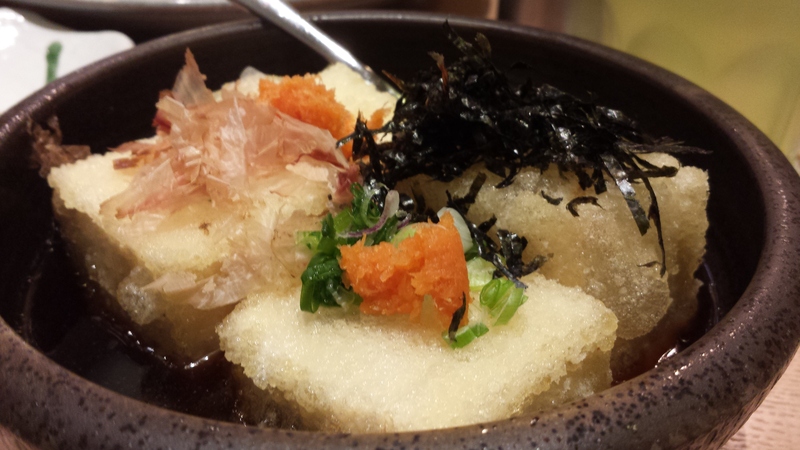 I ordered Agedashi Tofu. I like Agedashi Tofu, Pasta Zanmai’s version was four huge pieces of tofu, which was deep fried in this rather gluey batter that gave it a very gummy skin. The tofu was far too big. Not that the three of us had small mouths, but having to break your tofu three times before you finished each piece was a little ugly. 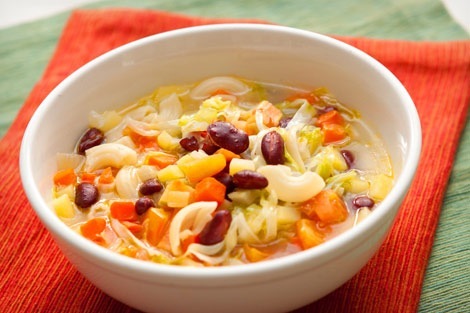 Now Japanese food is known for being all morsely and one or two bite fulls. This was a messy escapade. I have to say it was pretty and all but eating hot tofu and having it fall apart on your plate is rather ugly. Next time I order it, if I go there again, I will tell them to cut it smaller. My Sashimi, somehow didn’t look at all like what was in the menu. And I love my Sashimi, and I eat it all the time, practically a few times a month. 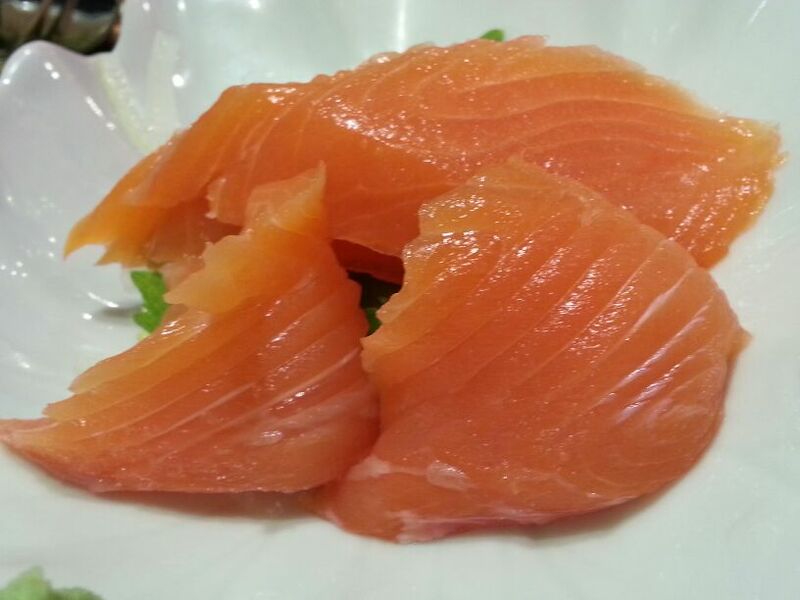 But this time, I found the sashimi to be rather insipid. It was fresh, it looked radiant, but it lacked flavor. Now I don’t mean fishy flavor but it lacked the fishiness I like about Sashimi. Even Melissa commented that it needed soy sauce. I wonder why this happened today. Because this is the first time it has ever happened to me. Perhaps it was cut too thinly, I really cannot tell. But it was just plain and insipid although very fresh looking. Melissa’s Pizza came, she seemed elated, and she was nice enough not to order a meat one so I could eat. I do not want to sound disdain or anything like that, but I thought it had too much sauce. I mean just look at it. It is a Tortilla for heaven’s sakes, it is not even a thin pizza base, its three times thinner than a thin pizza, so why do you need to plonk so much of filling and then douse it with mayo sauce like that. 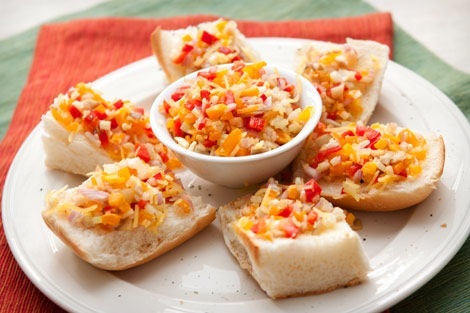 I took a small nibble, it was ok, it could be better, I guess I am not a saucy person. I like my pizzas with the least amount of toppings, a Pizza Margherita being my utmost favorite. 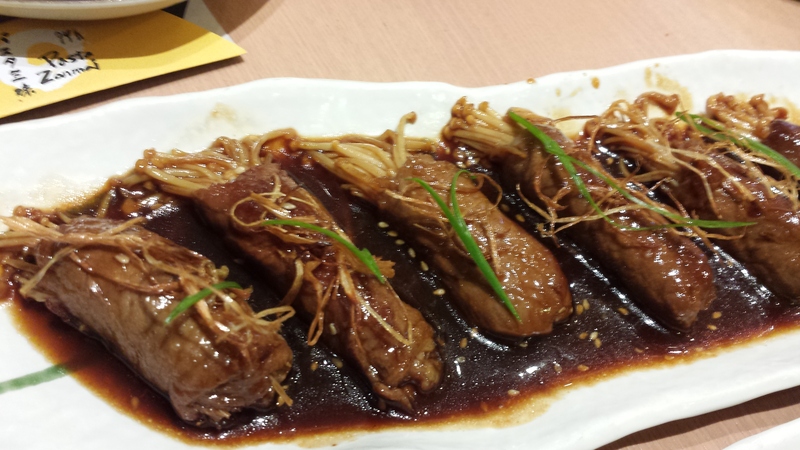 Melissa’s other pick was the enoki mushrooms wrapped in beef slices. Now I must say this has always been a favorite of mine even before, so I knew this was nice even though I didn’t eat it. She raved about it and ate almost the whole thing. Our other friend took one piece From what I remember, the mushrooms are just slightly cooked and the beef still maintains some rarity so to speak, as if it is fully cooked, it would be too dry. I have had this a few times before and it’s always been nice. 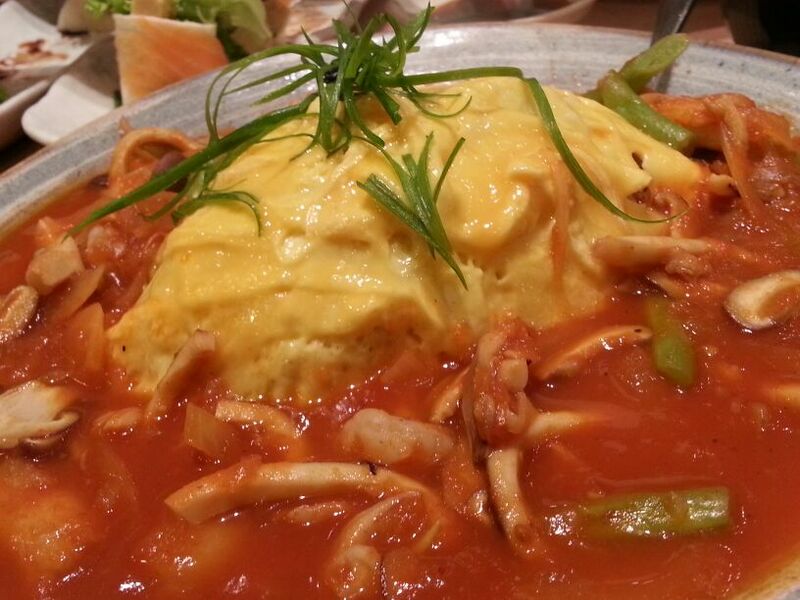 Then our friend’s dish came, it was an Omelet Fried Rice with a Seafood Tomato Sauce. I don’t know why he ordered it but it looked like a big mess on a plate. It resembled a soupy Nasi Pattaya or something like that. Taste wise it was nice, but I think a place like Pasta Zanmai, should learn to do their foods up a little bit more artfully. It was just messy. The squid was well cooked, the rice was well fried inside the egg. I had a spoonful just to taste, but I found it too wet for my liking. Maybe the rule that foods should not touch each other on my plate has something to do with this. If I had ordered it and it came looking like that, I certainly would not know where to start. Melissa liked it though. Seems like Melissa likes everything. Then dessert, the quintessential to every meal or as Melissa says, “ you can always have space for dessert”. We had rich chocolate cake it was called with a dollop of ice cream and an ice cream sampler which Melissa got really excited about because it was served in shot glasses in a little stand. 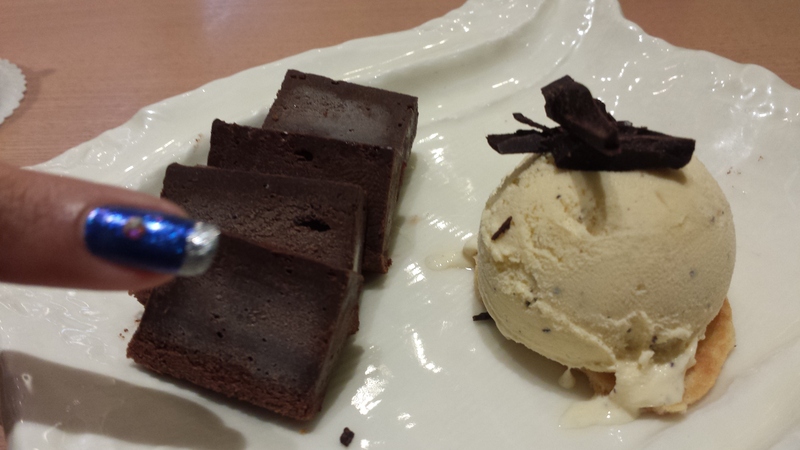 Dessert was nice. Tantalizing on the palate. I did find the chocolate cake unnecessarily frozen. It would have been nice if it was just chilled because it was really rich and nice. 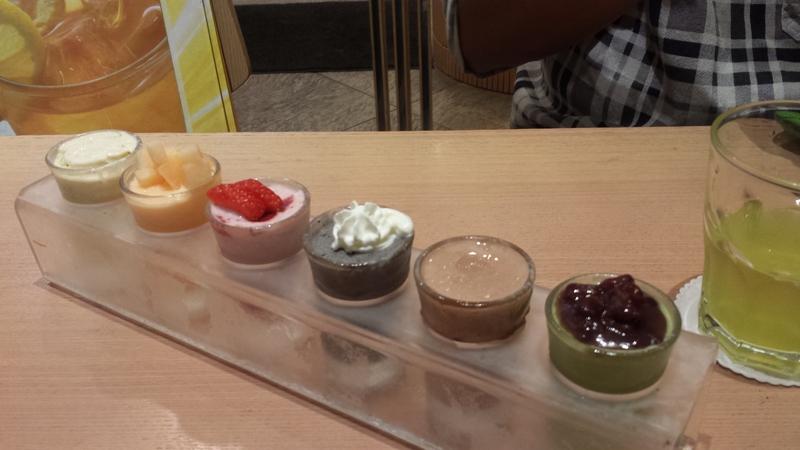 The Ice Cream Sampler came with Goma, Green Tea, Strawberry, Chocolate, Rock Melon and Vanilla which I could have sworn had some banana but I was outnumbered in my view. I would give it all thumbs up. All in all, it was a nice meal with nice people today. I didn’t enter Pasta Zanmai with much expectations. We left nice and contented. I did think though, with Rakuzen next door and Sushi Tei further down, they need to be a little competitive.